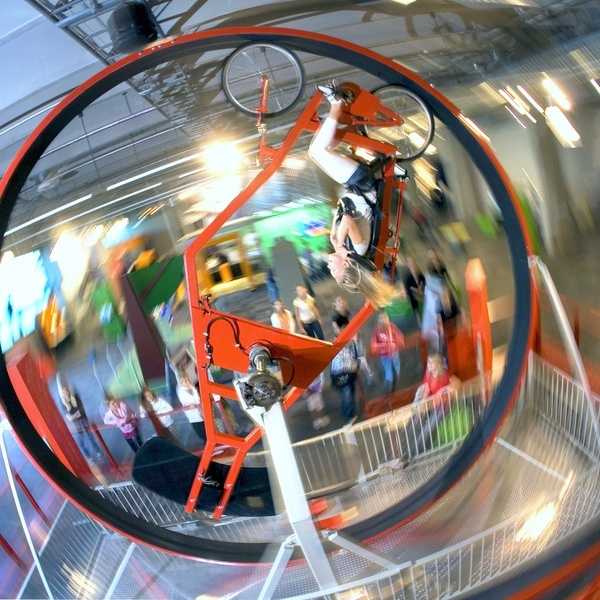 In the G-Force, you can ride in a loop and feel the G-forces on your body! What is the G-Force about? Newton's first law says that when an object (such as your body) moves, it will continue the movement until a force compels it to change direction or speed. Since the track on the G-Force is curved, the body can not continue straight ahead. The force affecting you when your ride is expressed in G units, where 1 G equals gravity acting on an object from Earth's mass. The G-Force is the only of its kind in Europe. You must be between 155 and 191 cm tall and in good health to ride the G-Force.